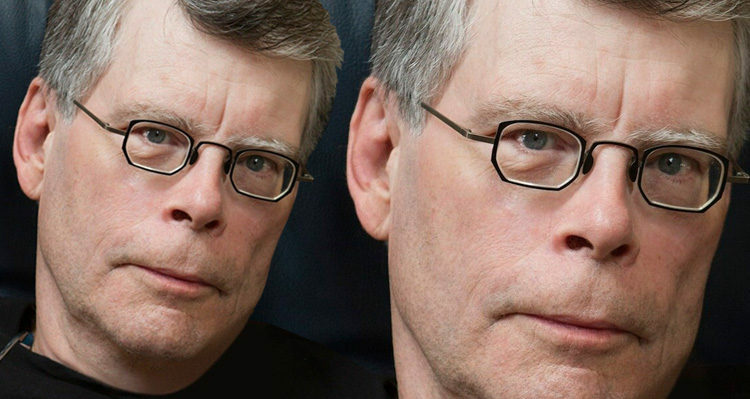 Stephen King’s perfect response to Trump’s cowardice. Last Thursday, U.S. forces dropped what the media is calling “the mother of all bombs” on an ISIS target in Afghanistan. “Another successful job. We’re very, very proud of our military,” he said. Horror writer Stephen King took to his Twitter page to mock Trump’s bluster, beginning with a Friday tweet calling him “President Forrest Trump,” a reference to the fictional movie character Forrest Gump played by Tom Hanks. The world was a relatively stable place when Obama left office, but look at us now. Macho posturing by President Forrest Trump. King has been one of Trump’s harshest critics in recent months. For instance, in March he put together a little three-part short story mocking Trump’s Twitter tirade wherein he not only accused President Obama of wire-tapping Trump Tower, but he also inadvertently revealed that the FBI had obtained a FISA warrant granting an examination of his campaign. True to form, King mocked Trump’s Obama conspiracy theories with a few frightening ones of his own in a 3-part Twitter short story.